RETNA (Marquis Lewis) is a contemporary artist, primarily recognized for graffiti art. He was born and raised in Los Angeles, and started his career in the early 1990s. He cites eclectic artistic influences, such as illuminated manuscripts, Renaissance imagery, and contemporary text-based art. Religious architecture and décor have long been a focus of his. He has mentioned Degas, Klimt, Basquiat,Haring and the Art Nouveau movement as historical references. Particular to his graffiti writing, Saber and David Choeare cited as influences, among others. 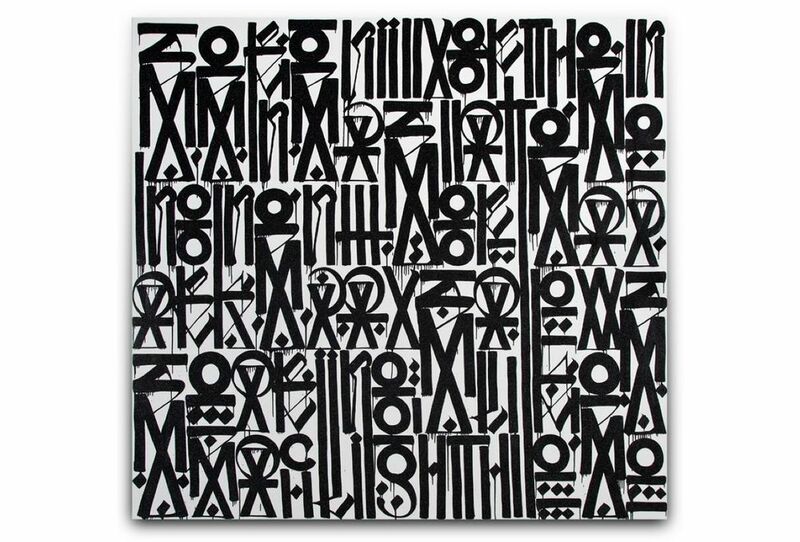 Retna has developed a constructed script which he uses in much of his work. Each block of text is a system of hieroglyphs, calligraphy and illuminated script that has been influenced by Arabic calligraphy, Egyptian hieroglyphs,Hebrew, Blackletter, and Native American typographies. 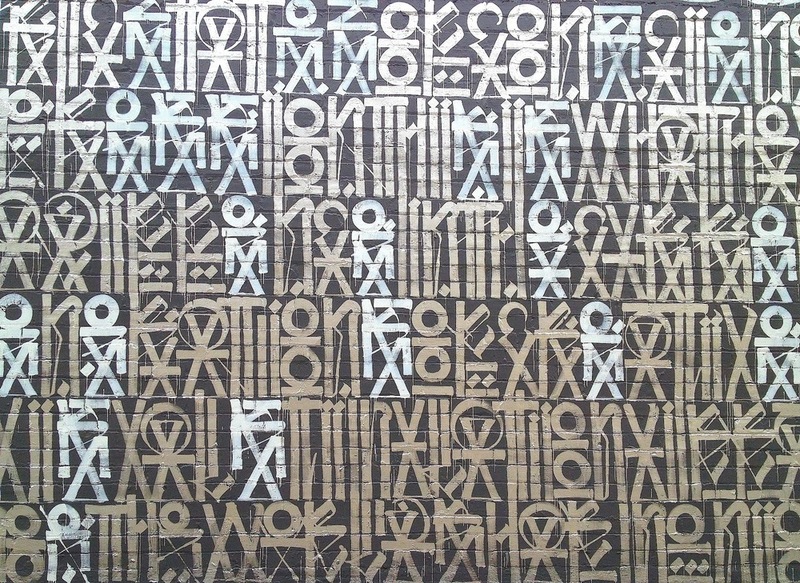 Retna's script communicates personal messages and poetry which are not immediately decipherable to a pedestrian audience.